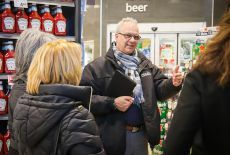 The visit came as a result of UFCW Local 832 negotiating contract language that has established a new initiative between Loblaw Companies Limited and the Local Union. The purpose of the program is to strengthen the hiring and retention of people with disabilities within the food retail sector. During the Local Unions’ visit to the centre, CFACQ Director Léo Lavoie led an intensive two-day session showcasing the organization’s training program for persons with disabilities. As part of the training, participants acquire skills through classroom modules taught by certified teachers – as well as technical training taught by registered chefs – before being gradually integrated into the retail sector. Participants graduate with multiple certificates that strengthen their transferrable skills and their ability to switch employers within the industry. 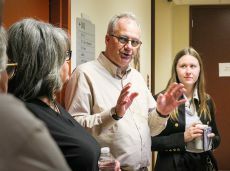 Local Union leaders and representatives also learned about the program’s partnerships with government, school boards, and non-profit organizations to meet participants’ needs. As well, representatives from TUAC Local 500 explained how the Local has negotiated training and education funding into collective bargaining agreements with large retailers to help support CFACQ programs. The CFACQ model strengthens the approach that UFCW 832 and CCRW are continuing to pursue in empowering disabled workers. “We are so inspired by the initiatives that TUAC 500 and CFACQ have undertaken to implement successful training and work placements for people with disabilities. 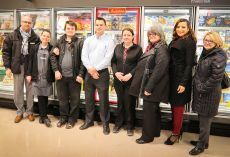 The partnerships they have developed with various organizations and employer groups to accomplish this goal are very impressive,” says Beatrice Bruske, Secretary-Treasurer of UFCW Canada Local 832. “Providing job skills and opportunities for those in need shows that UFCW is not just committed to helping members, but also the broader community,” she adds. 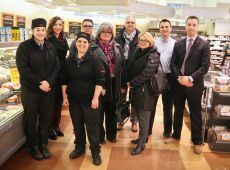 The visit to CFACQ provided UFCW Local 832, TUAC Local 500, and the UFCW Canada National Office with valuable insights into the innovative programs being offered at the centre. 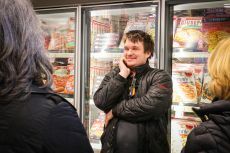 Over the last thirteen years, TUAC 500 – through their longstanding partnerships with retailers such as Metro and Provigo (Loblaw) – have continued to advance diversity and inclusion within their bargaining units to ensure that union solidarity includes everyone, including members with disabilities. CFACQ centres can also be found in Quebec City and Gatineau, Quebec. To learn more about CFACQ and its outstanding work, visit www.cfacq.ca.